Supported by the Royal Academy of Engineering (RAEng) Newton Fund, City’s Professor Panicos Kyriacou and Professor R Torres Villa from Colombia’s Escuela de Ingenieria de Antioquia will help to develop new medical technologies at Hospital General de Medellin. With the support of the Royal Academy of Engineering Newton Fund, City’s Professor of Biomedical Engineering, Professor Panicos Kyriacou and Professor R Torres Villa from Colombia’s Escuela de Ingenieria de Antioquia will help Hospital General de Medellin to develop new medical technologies. 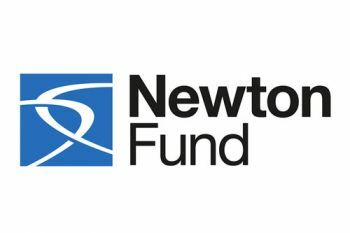 The Royal Academy of Engineering (RAEng) has been engaged as a delivery partner under the Newton Fund, which is an initiative of the UK Government to enhance science, innovation and research cooperation with 15 Emerging Power countries. The Academy has partnered with Newton Fund Partner Countries to help enhance research and innovation capacity and improve engineering education within universities in Partner Countries through the promotion of bilateral industry-academia linkages. As part of the project, City’s Research Center for Biomedical Engineering in the School of Mathematics, Computer Science and Engineering will be assisting Hospital General de Medellin and Escuela de Ingenieria de Antioquia to develop their skills and capacity to bring novel medical technologies from the conceptual stage through to development and evaluation via clinical trials. Technology commercialisation - or research commercialisation- refers to the take-up of research and intellectual assets by industry, or the process of taking an idea to market and creating financial value from it. It implies the selling, licensing of, or contracting of technology services, intellectual assets, and related-knowledge into spin-off creation and R&D collaboration.